Custom Candy Heart Foam Display Prop - Dino Rentos Studios, INC. 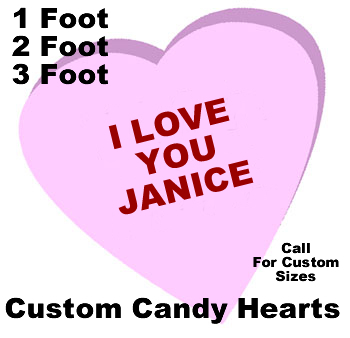 This custom candy heart is great for Valentine's Day decorations or Valentine's-related staged productions. Select your size, color and wording. Contact us for large quantity and shipping discounts. Contact us for custom versions!